Excellent Condition. FX4 trim. Alloy Wheels, Bed Liner, Trailer Hitch, Premium Sound System, Running Boards, 4x4, MAX TRAILER TOW PKG W/PWR MIRRORS, AM/FM STEREO W/CD/MP3 PLAYER, 6-SPEED ELECTRONIC AUTOMATIC TRANSMIS... READ MORE! 4x4, Running Boards, Premium Sound System. Ford FX4 with Ingot Silver Metallic exterior and Black interior features a 8 Cylinder Engine with 360 HP at 5500 RPM*. upgraded rear bumper, class IV trailer hitch receiver, 7-pin wiring harness, upgraded radiator, aux trans oil cooler, trailer brake control, SelectShift transmission, manually telescoping pwr heated side mirrors w/turn signals/puddle lamps, clock, speed compensated volume control, aux audio input jack, (STD), (STD). Third Passenger Door, Privacy Glass, Keyless Entry, Child Safety Locks, Steering Wheel Controls, Electronic Stability Control, Adjustable Pedals. Serviced here, Non-Smoker vehicle, Originally bought here. "The 2011 Ford F-150 is an excellent all-around truck, and even more so this year thanks to its more powerful engine choices." -Edmunds.com. 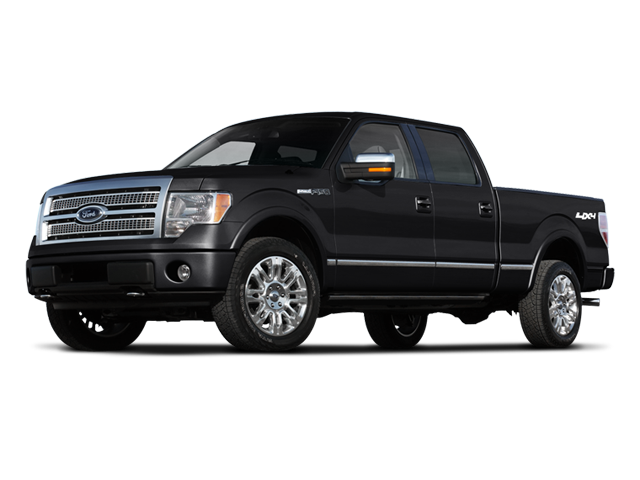 Hello, I would like more information about the 2011 Ford F-150, stock# T16274A. Hello, I would like to see more pictures of the 2011 Ford F-150, stock# T16274A.